The Seven Sisters or, more officially, the Detroit Edison Conner's Creek Power Station became a landmark and icon for Detroit. 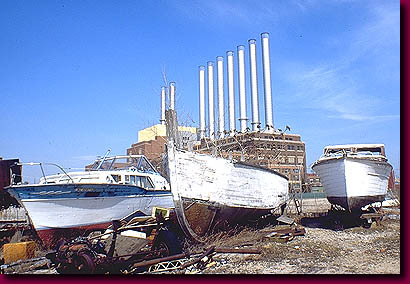 Located at the egress of Lake St. Clair into the Straits of Detroit it became a landmark for generations of sailors. Detonated on August 10, 1996.